Growthpoint Properties has posted distribution growth of 6.9% per share for its half-year to 30 June 2017, taking its full-year distribution growth to 6.5% per share and delivering results ahead of its market guidance. Growthpoint increased its annual distributions 10.4%, paying R5.6bn to shareholders this financial year. It also made significant strategic progress, boosting its international exposure to 30.0% of its asset value of R122.3bn, assembling a portfolio of assets for its new Healthcare Fund and receiving income from its new Trading and Development business for the first time. Growthpoint is the largest South African primary listed REIT. It creates value for all its stakeholders through innovative and sustainable property solutions that provide space to thrive. The 21st largest company in the FTSE/JSE Top 40 Index, Growthpoint is a Top 10 constituent of the FTSE EPRA/NAREIT Emerging Index. It is also in the FTSE4Good Emerging Index and has been included in the FTSE/JSE Responsible Investment Index for eight years running. It is the most liquid and tradable way to own commercial property in South Africa. Growthpoint owns and manages a diversified portfolio of 547 property assets. This includes 471 properties in South Africa valued at R76.9bn and Growthpoint’s 50% interest in the properties at V&A Waterfront, Cape Town, valued at R8.7bn. 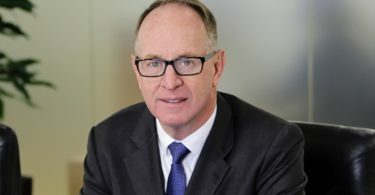 Internationally, Growthpoint owns 57 properties in Australia valued at R32.5bn through its investment in ASX-listed Growthpoint Properties Australia (GOZ) and 18 properties in Romania valued at EUR1.0bn through its investment in LSE AIM-listed Globalworth Real Estate Investments (GWI). Its size and diversity make it strongly defensive. Its South African balance sheet remains well capitalised. Even though Growthpoint’s gearing increased from 33.7% to 35.0% during the year, mainly to fund investment activities, it remains at conservative levels. Growthpoint enjoys good access to funding. Its unsecured debt increased by R4.5bn during the year, of which R3.5bn is in corporate bonds following a return of liquidity in the bond markets as well as strong demand for high-quality liquid assets from banks. Some 85.6% of Growthpoint’s debt is fixed for 3.9 years on average. It decreased its weighted average cost of debt slightly from 9.3% to 9.2%. Growthpoint also raised R2.5bn in new equity through its Distribution Re-Investment Programme. The company’s strategic initiatives – Internationalisation, Funds Management, and Trading and Development – were key focuses this year. They all reinforced Growthpoint’s emergence as a leading international property company and added new, low-risk income streams. He adds that, of Growthpoint’s strategic initiatives, Internationalisation was by far the biggest priority during the year, and the company made good progress in this area. Expanding its international investment into a new territory, Growthpoint launched its Central and Eastern European (CEE) investment strategy by investing €186.4m (around R2.8bn) in 24.3m GWI shares. This is a conservative market entry point to a high-growth investment platform. GWI made a positive contribution to Growthpoint’s distributable income and delivered dividends of 22 EUR-cents per share. “GWI has surpassed our due diligence expectations and delivered on its distribution guidance. Since finalising our transaction in December 2016, GWI is achieving letting uptake faster than anticipated, it undertook its first bond issue sooner than expected and achieved better terms on its bond issue than projected,” says Sasse. GWI is the largest owner of office space in Romania. Its property portfolio is concentrated in Bucharest and includes mostly modern A-grade offices and industrial properties, underpinned by Euro-denominated leases with many blue-chip global brands. It also has a c. EUR100m pipeline of developments. Romania’s economy has one of the highest growth rates in Europe, forecast at +6% for 2017. This is driving strong demand from global corporates for office space, which is positive for GWI. GWI has forecast dividends of 22 EUR-cents per share for its half year to December 2017. Growthpoint’s new Trading and Development business for third-parties added R91m to its income streams for the first time this year. Further opportunities for this business have been identified for FY18. Creating another new revenue stream, Growthpoint is building a R15bn Funds Management business over the next five years. It has added five assets with a property value of over R2.3bn to its Healthcare Fund and plans to grow the fund’s assets to R10bn in the next seven years. The capital raise for the Healthcare Fund is expected to commence in Q4 2017 with institutional investment expected in H1 2018. Capital raising for the Africa Fund, in partnership with Investec Asset Management and the IFC, has achieved mixed results with its first close targeted for Q4 2017. Growthpoint’s South African portfolio performed admirably considering the fiercely competitive and weak domestic market and contributed 73.0% to its total distributable income. Vacancies in the portfolio improved to 4.4% from 5.7% during the year, and its arrears remain low. It delivered revenue growth of 6.58%. The total letting success rate increased from 82.4% to 85.3%, and it reported an improved renewal success rate of 73.6%. In South Africa, Growthpoint concluded 11 acquisitions for R1.9bn. All were strategic transactions, and three of the assets acquired, totalling R1.5bn, are for its Healthcare Fund. It also invested R2.1bn in developments and improvements to its South African portfolio. 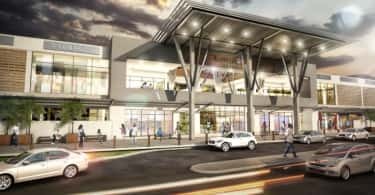 Its biggest development is the new global headquarters for Discovery in Sandton Central, which Growthpoint is developing with Zenprop. The property is owned by Growthpoint (55%) and Zenprop (45%). The c. 110,000sqm environmentally-innovative building is the biggest single-phase commercial office development in Africa. Discovery is expected to take occupation from the beginning of 2018, which will contribute positively to Growthpoint’s rental income in the second half of FY18. Growthpoint continued to optimise and streamline its portfolio through asset sales, redevelopments and repurposing properties. De-risking its portfolio, it disposed of 17 properties for R2.0bn, and it plans to make more strategic asset disposals in the coming year. Revenue from the V&A Waterfront contributed 8.6% to Growthpoint’s total distributable income, up slightly from the prior year. Overall vacancies at the V&A Waterfront reduced further from 1.4% to 0.8%, and it achieved an improved total letting success rate of 98.3%. The V&A Waterfront’s performance was driven by strong demand across all sectors, excellent tenant retention with renewal growth, visitor numbers at 24 million a year, good hotel occupancies that are outperforming their market, a 35% increase in international tourists and solid support from locals. This year, there was a big increase in the number of blue-chip businesses taking up office accommodation at the V&A Waterfront, with buoyant demand for office space across the board. The development of the 110,000sqm Silo district will be complete in September 2017 when the Zeitz Museum of Contemporary Art Africa (Zeitz MOCAA) and the new 250-room Radisson Red hotel open. Development focus has shifted to the 120,000sqm Canal District, which is anchored by the opening of the offices of BAT and EY at Waterway House. GOZ had its best year ever, delivering 9.6% increase in distributable income to shareholders on the ASX. It also increased its net tangible assets by 10.3%. GOZ outperformed its benchmarks and became the best performing A-REIT over one year, three years and five years. 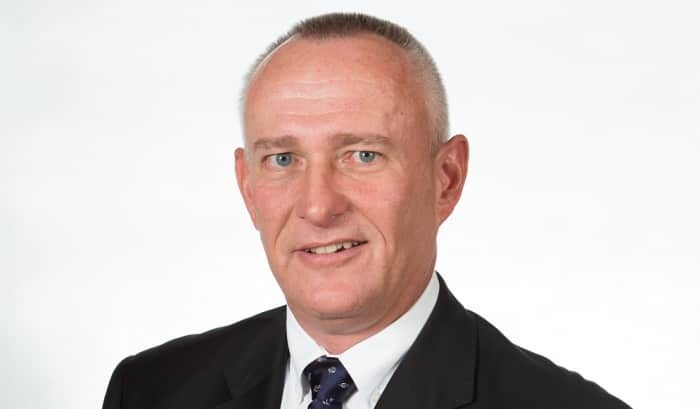 However, the ZAR’s improved strength against the AUD, and higher-than-expected withholding tax, saw its 15.4% contribution to Growthpoint’s total distributable income remain stable. During the year, GOZ reweighted its’ portfolio geographically and into the office sector. GOZ’s largest transaction was the successful takeover of the GPT Metro Office Fund (GMF). This added six A-grade office assets valued at over AUD480m to its portfolio. Some 66% of the portfolio is now made up of office properties, and 89% of properties by value are located in the growth states on Australia’s eastern seaboard. GOZ’s distribution growth for FY18 is forecast at 2.3% and, using prudent hedging and funding strategies, Growthpoint will strive to grow this contribution to its distributions. With the combined effects of its investments and strategies, Growthpoint expects to achieve dividend growth for the coming year at a similar level to FY17. “Even in the face of South Africa’s inadequate economic growth prospects and weakening domestic property fundamentals, we will preserve our risk profile while remaining driven by opportunity and demand. Growthpoint will seek ways to outperform and continue to create sustainable value for our shareholders,” concludes Sasse.